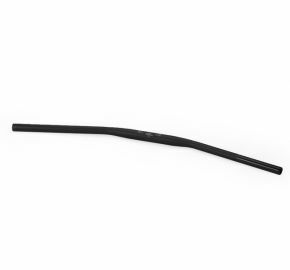 This LSL handlebar has a 1 1/8" (28.5mm) diameter in the area that receives the highest loads. This offers twice the bending resistance as a standard 22mm handlebar. 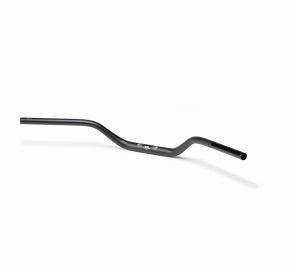 These handlebars are made out of high-strength alloy 2014 T6. 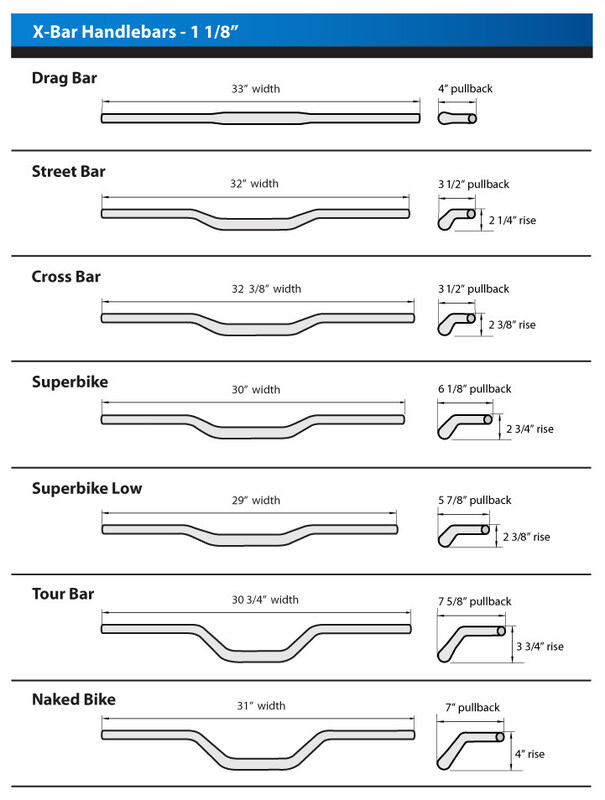 LSL is introducing seven versions, the well-known LSL "Superbike" handlebar, a more flat, less pull back version called the "Cross Bar", the "Drag Bar", the "Superbike Low Bar", the "Street Bar", the "Naked Bike Bar" and finally the "Tour Bar". 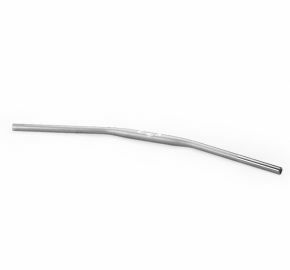 LSL offers the Superbike, Cross Bar, and Superbike Low X-Bar in silver, black, blue, gold, and titanium with a cool sand-blasted optic for the titanium, black and silver bar. 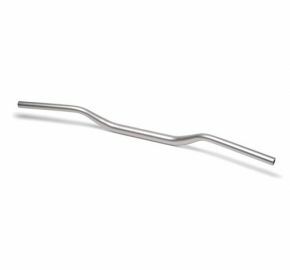 The Drag Bar is available in silver, black and titanium. 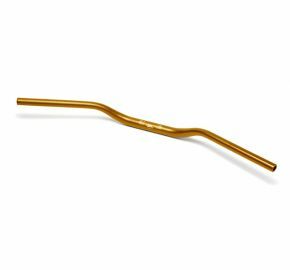 The Tour Bar is available in silver and black. 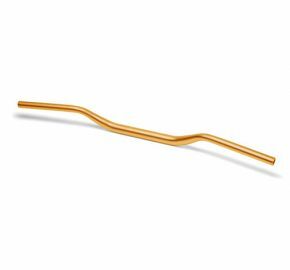 The colors gold and blue (typical for LSL) come in a highly-polished quality. 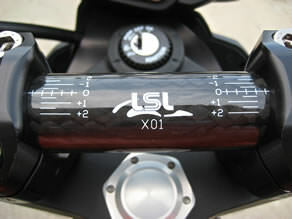 A laser etched position marking in the clamping area let you adjust the handlebars to your needs. The OD for the controls is 7/8" (22.15mm). The ID of The X-Bar at the bar end is 14mm and we offer several different handlebar ends; see the section 'Handlebar Ends'. The Carbon Fiber "Superbike" is a high tech handlebar this is also approved by the German TUV. 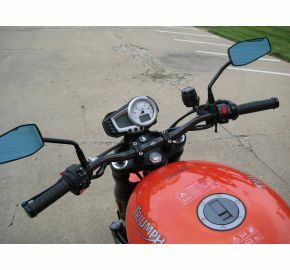 As for most bikes the X-Bars will not fit in the original handlebar-clamps. LSL offers special, fully machined, billet aluminum clamps for several naked bikes. These are available in silver, black or titanium. If you have any questions or would like to check availability please call and talk to a Spiegler sales representative.